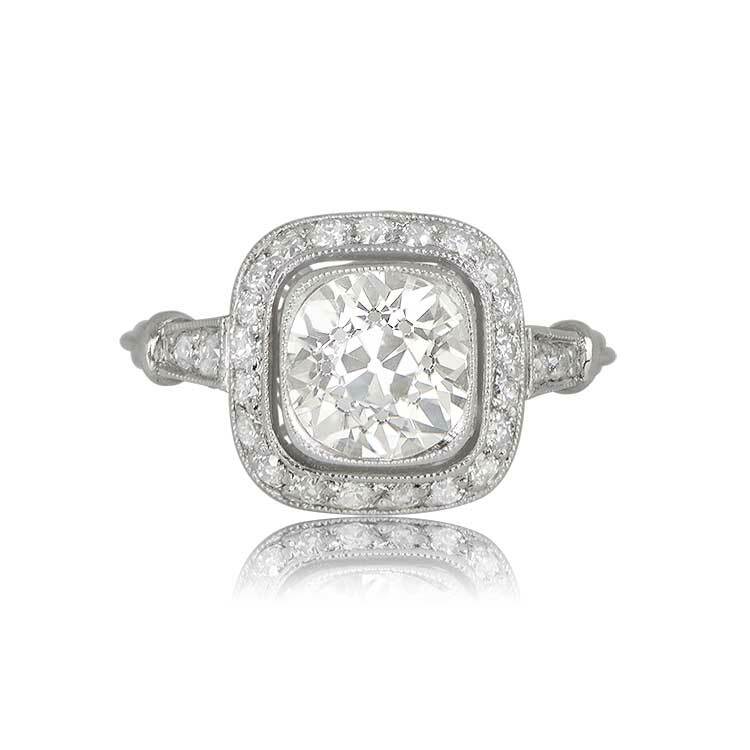 A antique diamond engagement ring that centers a 1.92 carat antique cushion cut diamond, K color, and VS2 clarity. 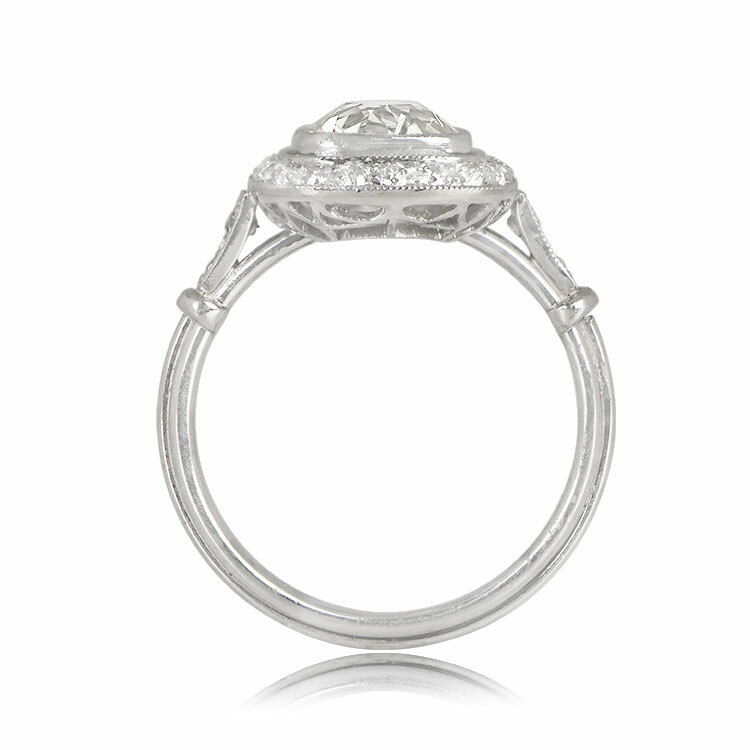 Along the shoulders and surrounding the diamond is a row of old cut diamonds. 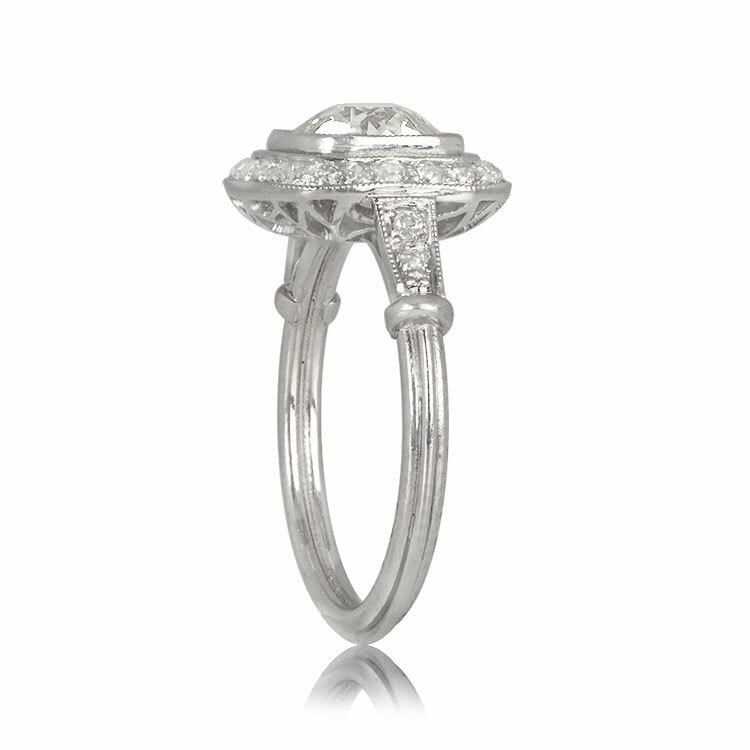 This platinum ring features a triple wire shank and a decorated under-gallery. The center antique cushion was cut over 100 years ago and has beautiful antique characteristics like a open culet and high build up. 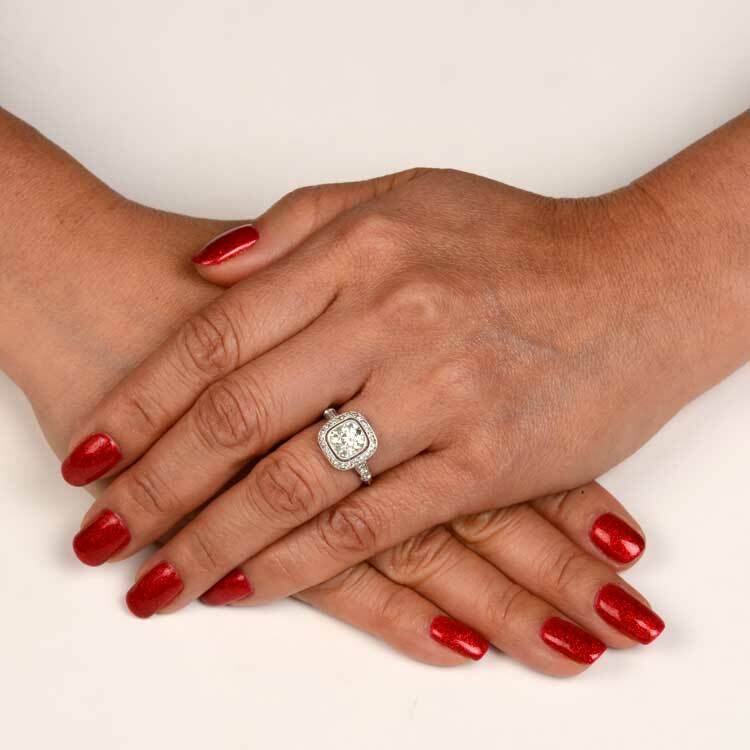 Our Durham Ring can be resized at no extra cost. 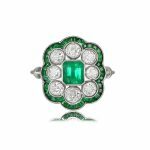 Please feel free to call us at (212) 265-3868 or email us you have any questions about this ring. 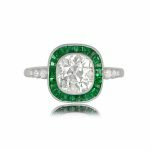 SKU: 12242 Categories: Cushion Cut Engagement Rings, Vintage Engagement Rings - Contact us and request additional pictures.